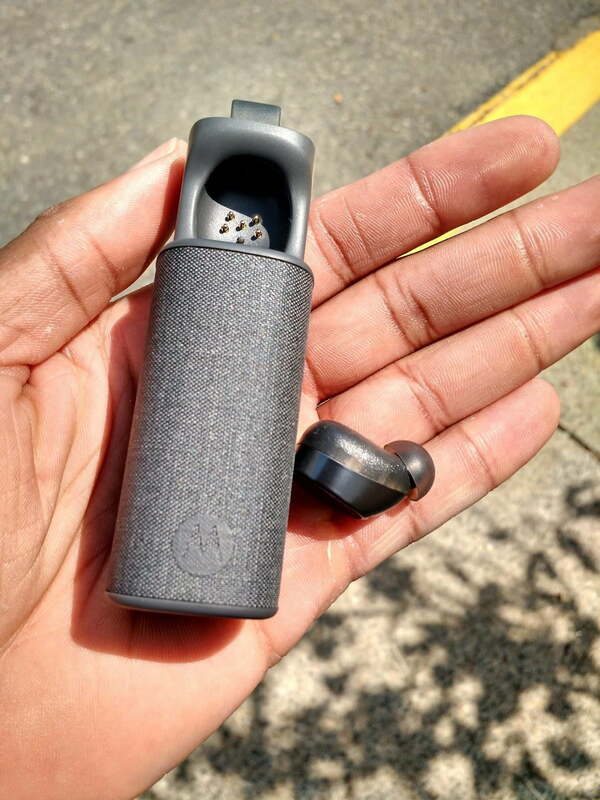 Even though we expect Motorola to reveal a slew of new smartphones during its July 28 event in New York City, Sao Paulo, and London, the company didn’t forget about its Moto Hint Bluetooth earpiece. It has issued a quiet refresh. According to the new Moto Hint’s product page on Best Buy, it now packs 17 hours of talk time, as opposed to the original Moto Hint’s 10 hours. In addition, the updated Moto Hint now features CrystalTalk noise- and wind-canceling technology. Combined with a redesigned earbud, the new Moto Hint should provide enhanced audio quality. Finally, the packaging seems to have been updated, according to pictures taken by Google+ user Josue Joseph. Design-wise, the Moto Hint’s new packaging seems to be about the same, though the lower portion of the box highlights new attributes of the earpiece. If you’re interested in Motorola’s Bluetooth earpiece, it’s currently available for purchase through Best Buy for $130. The retailer pulled the original model from store shelves, but it’s currently available through Motorola’s website at $80. We’re unsure whether the new Moto Hint will remain exclusive to Best Buy or whether it will be more widely available as time passes, but we’ll keep you updated. As was the case with the original, you’ll get the most out of the Moto Hint if you pair it with one of Motorola’s recent smartphone offerings that include Moto Voice, such as the Droid Turbo and Moto X. Using the Moto Hint with one of these smartphones will let you issue commands. However, because the Moto Hint uses standard Bluetooth protocol, you can also connect it to other Android smartphones, and even the iPhone, though you’ll only be able to dictate commands when having it connected to an Android handset, though it can still control things like Siri. The original Moto Hint was a bit too expensive at its $150 price tag at launch was a bit too steep. In addition, several outlets reported having inconsistent audio experiences, as well as inconsistent experiences when issuing commands. Hopefully, Motorola ironed out those issues with the refreshed Moto Hint.